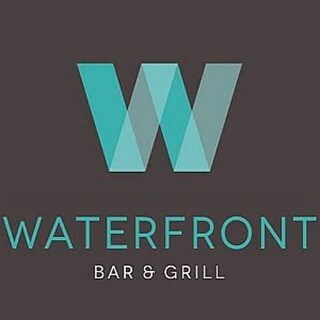 The Waterfront Bar and Grill is a modern informal eatery, open for lunch and dinner 7 days; serving an extensive range of choices including quesadillas, Baked jackets with fillings, salad bowls, sharing options, lots of options from the grill including wide selection of steaks; Seafood, and Mediterranean dishes; as well as a selection of starters mains and puddings;….. all at reasonable prices. Current menus at www.shetlandhotels.com ; good selection of gluten free and vegetarian within the menu choices. 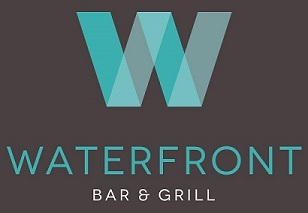 Enjoy the buzz, atmosphere, and food, at the Waterfront Bar and Grill at The Shetland hotel. Everybody in my party enjoyed the food. The only point I would say is please put cheese on first then tuna as mine was overly tuna and not enough cheese. I like it cheese nearest the potato so as it melts. Service was excellent however the food was very disappointing. Great food and service, very helpful and friendly staff. Took my partner for a late Valentine's meal. Waiter gave us a nice quiet area to sit. Had a lovely meal. Waiter and manager both friendly. Will definitely be along again. I had a prawn, chicken and Pancetta carbonara which has about 3 prawns in it and I’m afraid did not taste like a carbonara at all. I then went on to have the apple crumble tart which unfortunately I could not eat due to it being so heavily spiced, I couldn’t even eat the crumble or pastry. It had a cream anglaise with it which had been spread across the plate meaning I couldn’t eat it along side the crumble. However despite the food being a let down I cannot fault the service from the waiter we had. Thankyou for great food & service! Unfortunately the food wasn’t very hot. The fish pie was delicious but the shepherds pie very greasy. The puddings were really nice but I don’t think we’ll be back for a while due to the disappointing main courses. The staff were very helpful in making our visit for a birthday meal very enjoyable. Nice wine, puddings were lovely, but main meal disappointing. Steaks weren’t quality meat, thin, no flavour, over cooked and twice cooked chips weren’t twice cooked. Could have been a supermarket steak and cost over £25. Advised the young waitress but it wasn’t followed up by any management as I’d expect or by the waitress. The evening from start to finish was excellent, staff very welcoming, friendly, and helpful. Disappointed your baked tatties and light bites no longer on the menu. Food has been better, from visiting one year ago I can say portions are smaller. I wouldent recommend fhe cheesecake special as base was solid on it - too much gelatine to set it which made it jelly like and the marshmallows had been in fridge too long so went soggy on it. Shame really as usually really enjoy it. We had an excellent meal on Saturday. Food was lovely, fresh ingredients, well presented. Service was efficient despite how busy the restaurant was. The loveliest of staff and great service, always!